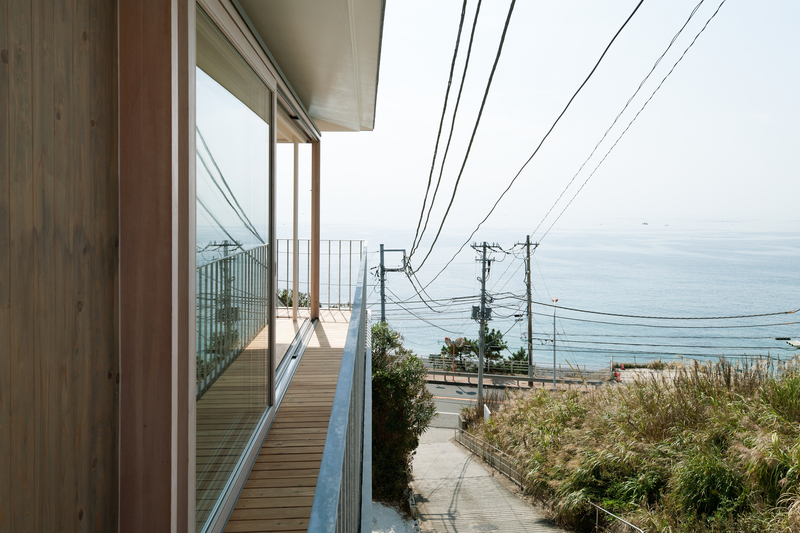 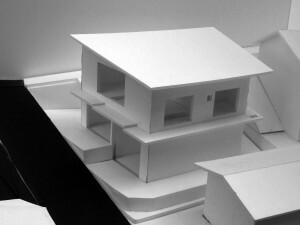 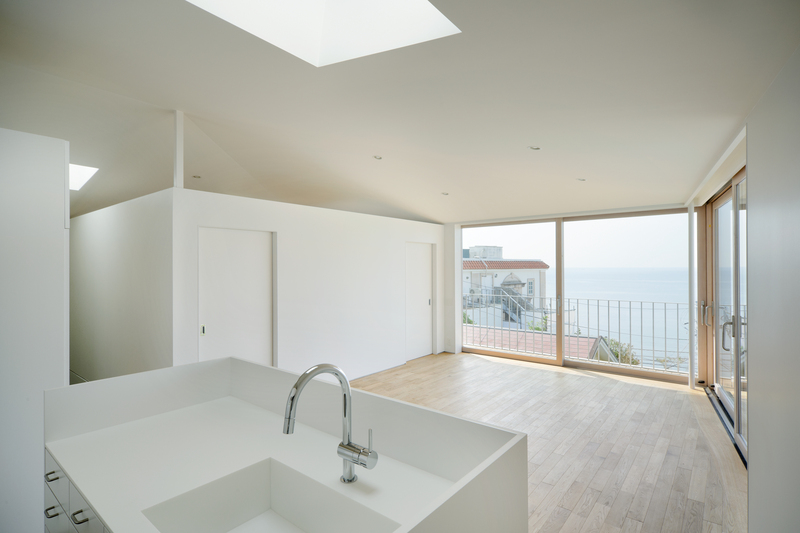 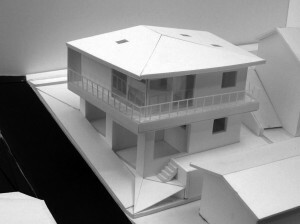 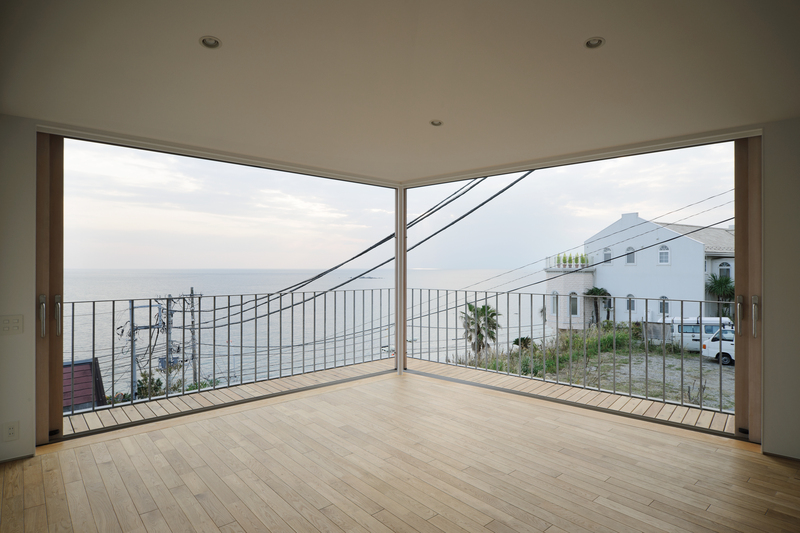 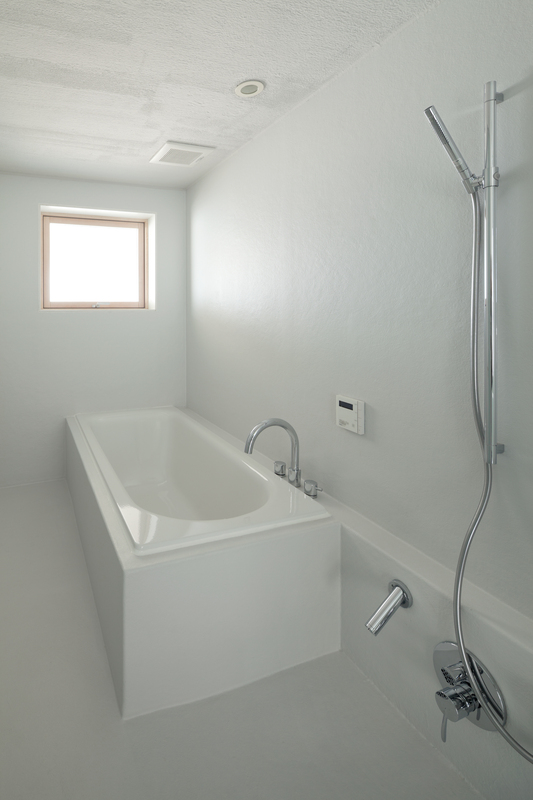 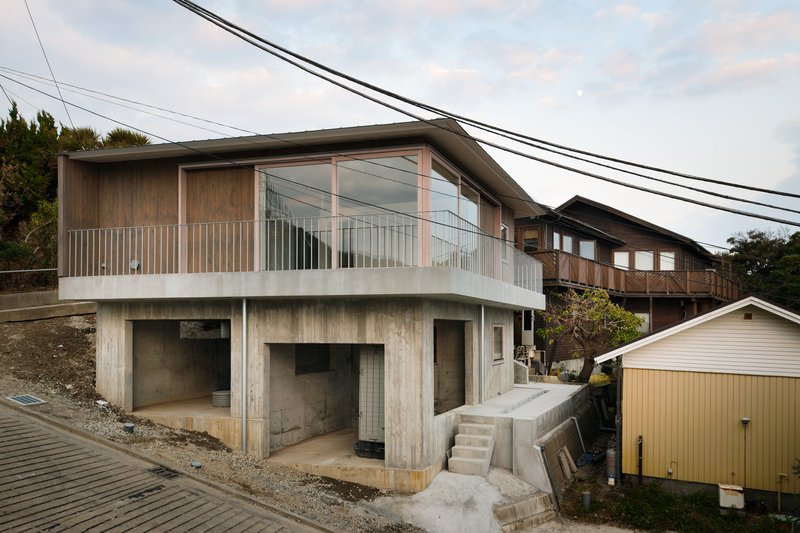 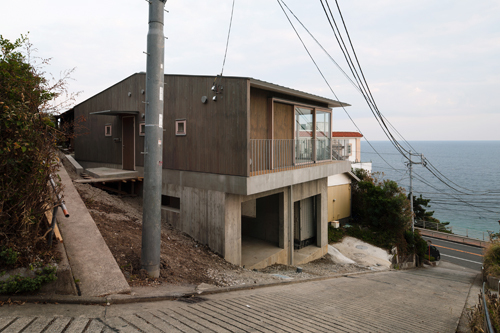 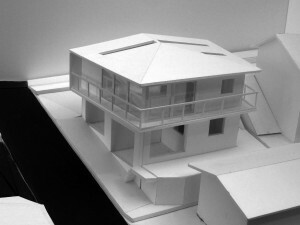 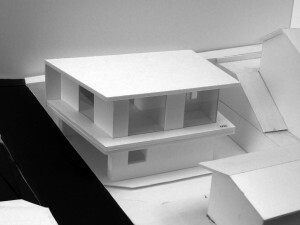 I met the client who wanted to build a house on a seaside cliff in the suburb of Tokyo. 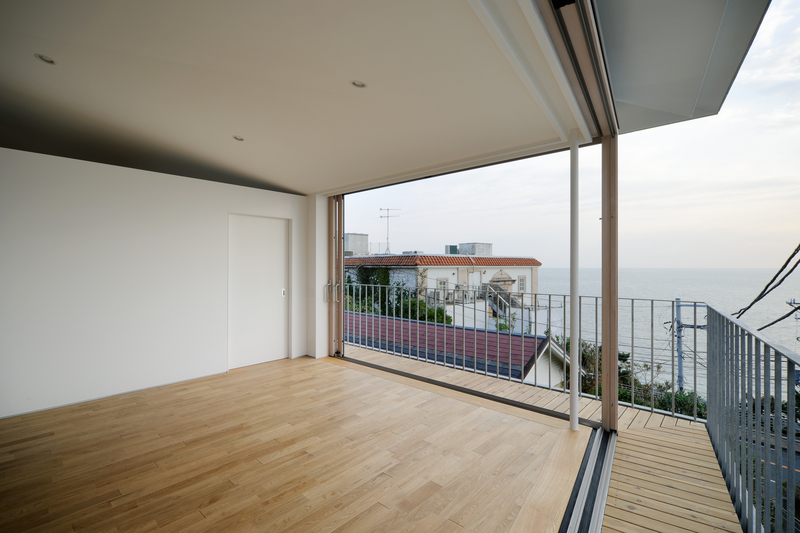 The site was located on the best spot with an open ocean view towards southwest. 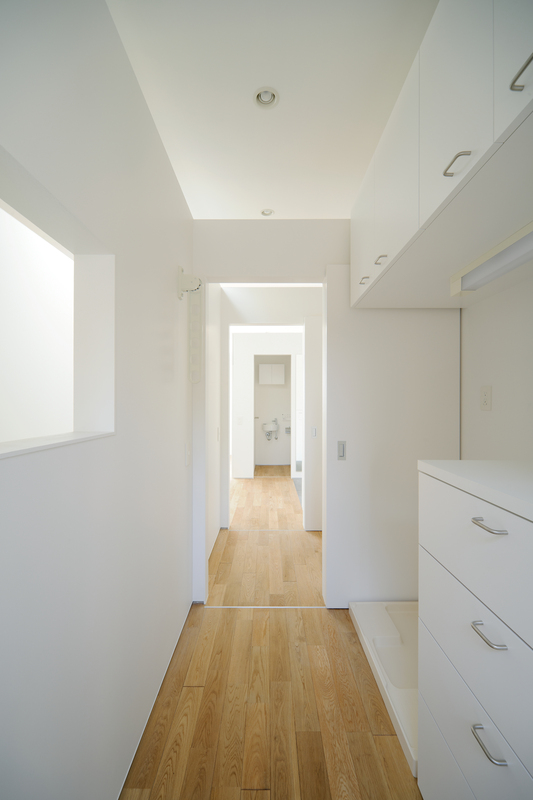 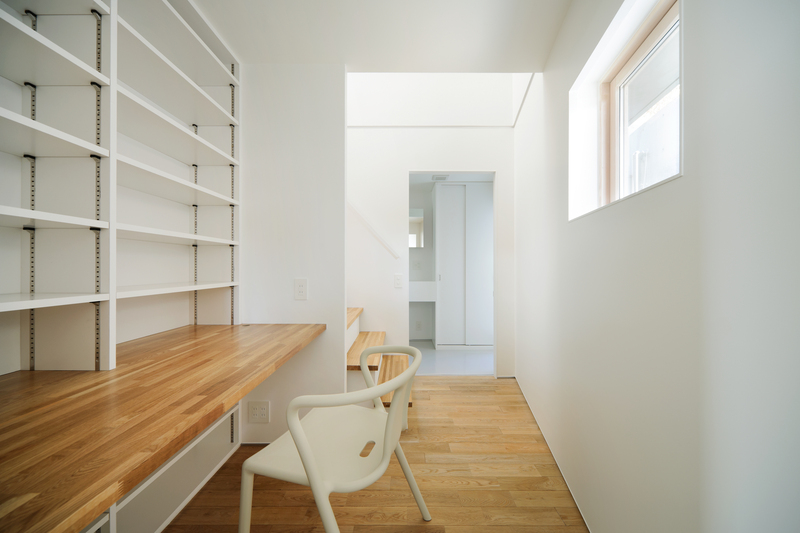 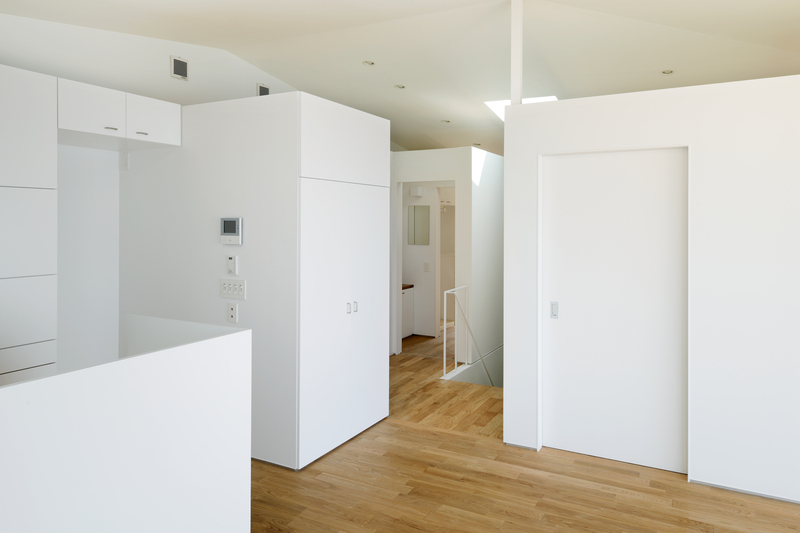 I anticipated that finally we would be able to design freely without restrictions, in contrast to the congested inner city area of Tokyo we previously dealt with. 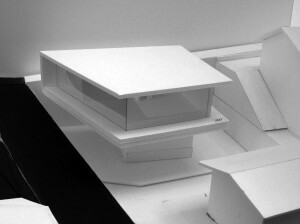 After we started designing, however, it turned out that we had various restrictions to consider. 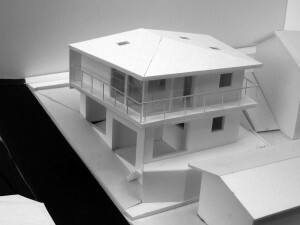 It was a steep sloping site with a high water table and the building height had to be lowered as much as possible so as not to obstruct views from the neighbor’s house in the back. 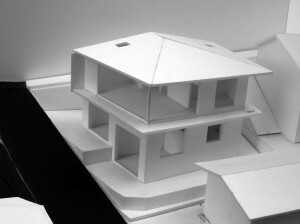 If we had designed based on the maximum allowable values imposed by strict restrictions, we would have ended up with a heteronomous house directly shaped by restrictions. 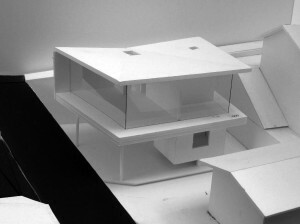 On the other hand, autonomous architecture designed without restrictions would have resulted in an articulated form but detached from the context. 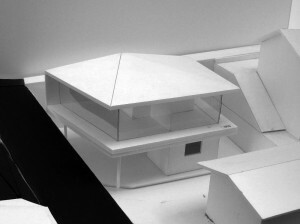 I was exploring possibilities of realizing architecture that would be shaped autonomously and heteronomously at the same time. Taking the height limit in to consideration, we built a concrete podium containing a garage and bedroom on the first floor and a wooden hut on the second floor atop the podium. 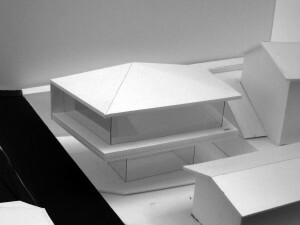 The space is covered with a gently sloped roof supported by a slender column in the center and floor-to-ceiling windows are installed along the southwest side. 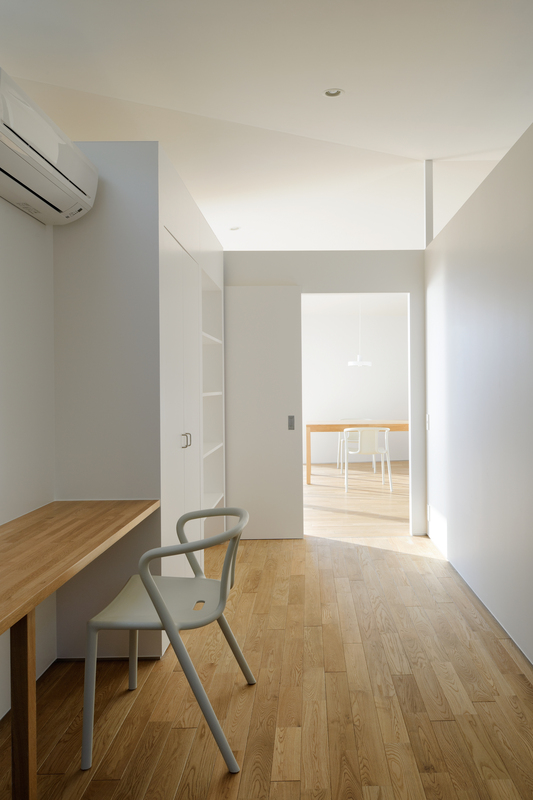 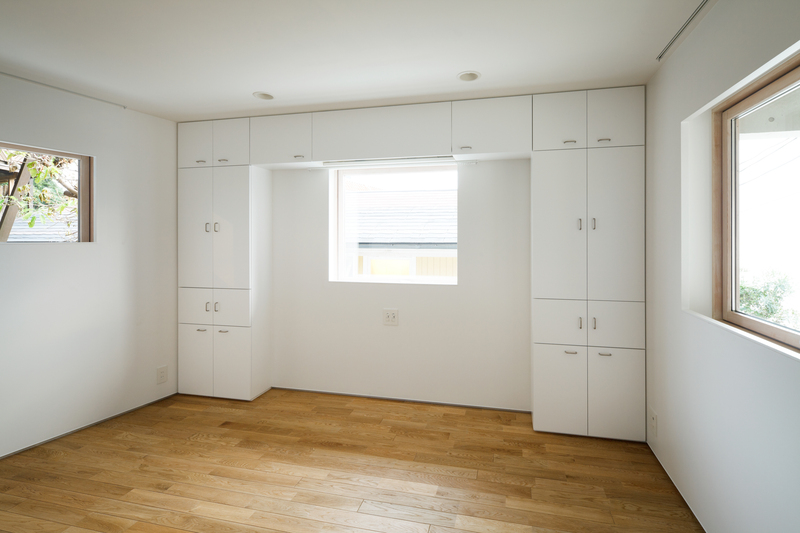 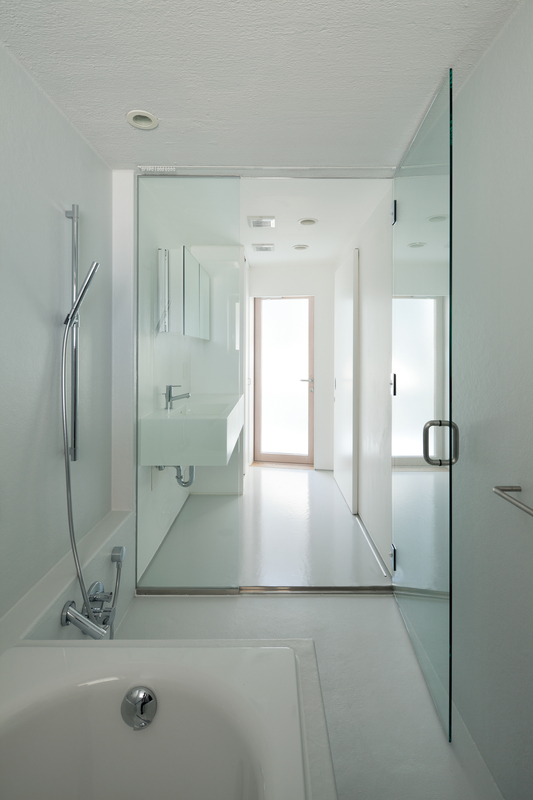 Partition walls on the second floor are freestanding, and ceiling fans are installed above to circulate air flows from bottom to top. 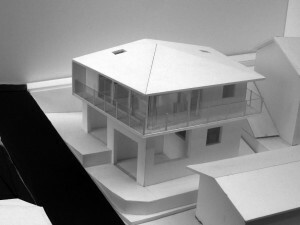 have been raised higher to increase the angle, but unfortunately that wasn’t possible. 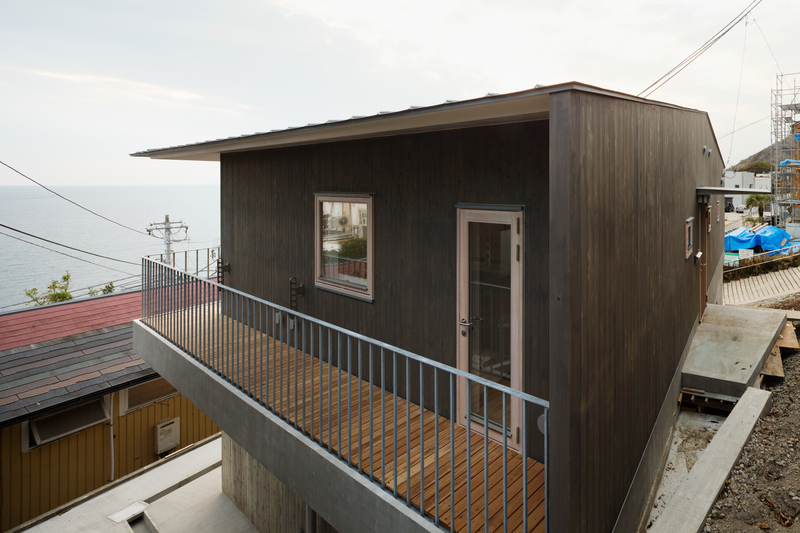 Because the house looked like a small shed built atop a podium, it was named “Shed House.” It looks like a mountain shed from the mountain side and a beach shed from the ocean side.